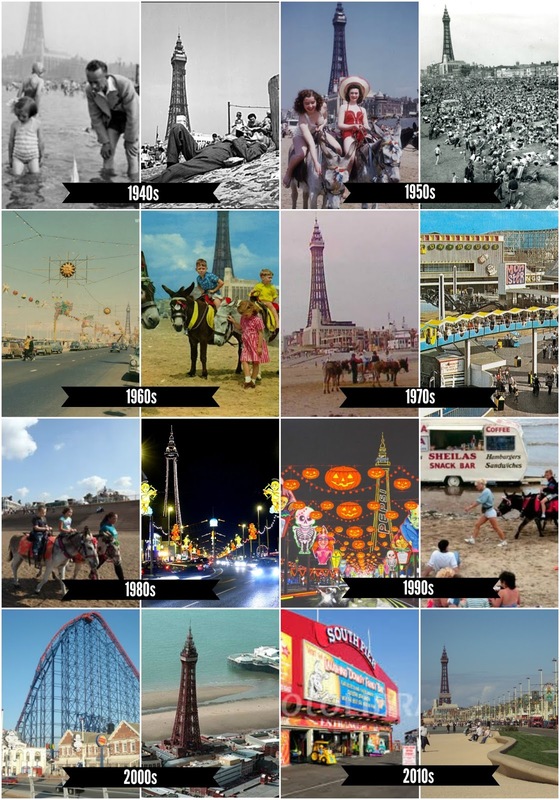 Jack and I spent a lot of time looking for and at pictures of Blackpool going back to the 1940'. We chose that decade because that's when his Nana was born (1944) so he could talk about differences in seaside holidays between her being little and now. 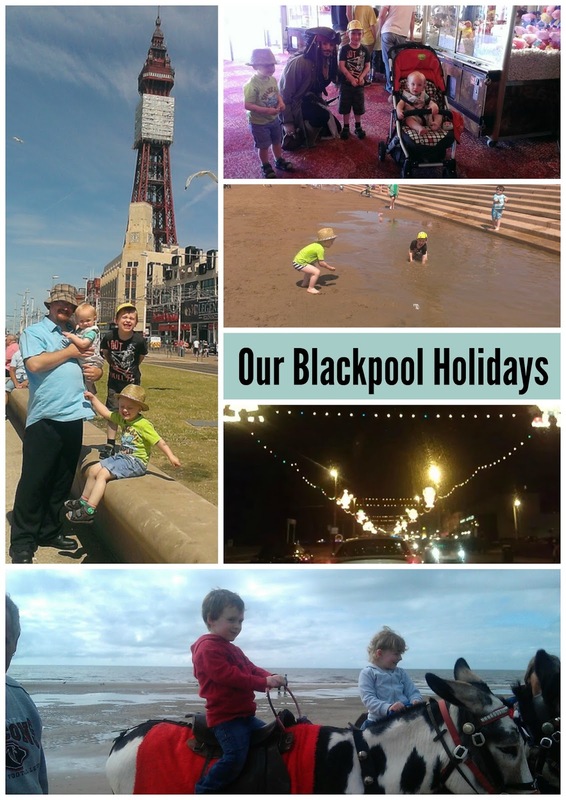 He chose two pictures from each decade from 1940 to the present day and made a poster (thank you picmonkey) and then took a look at our own holiday snaps from Blackpool over the last few years. He noticed similarities: Playing on the beach, riding donkeys, visiting Blackpool Tower, eating ice-cream. Things that haven't changed in 70 years! He also noticed that there seems to be more things to do as time when on, like the Pleasure Beach and arcades, and fewer people. I think he did well!